In the temple of Solomon in Jerusalem, besieged by the army of Babylon, priests, Levites and ordinary Jews pray, begging God to protect them from cruel Babylonians, led Nabucco, plundering the Israeli land. 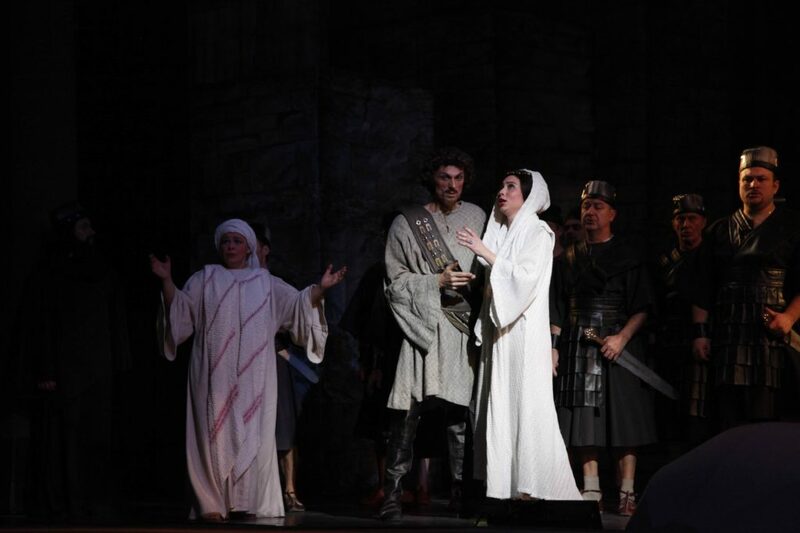 The High Priest Zaccaria tells the people not to despair but to hope for the better, because he managed to take into captivity the daughter of the Babylonian king, Fenena. She may be guarantee for the conclusion of peace between the Assyrians and Jews. 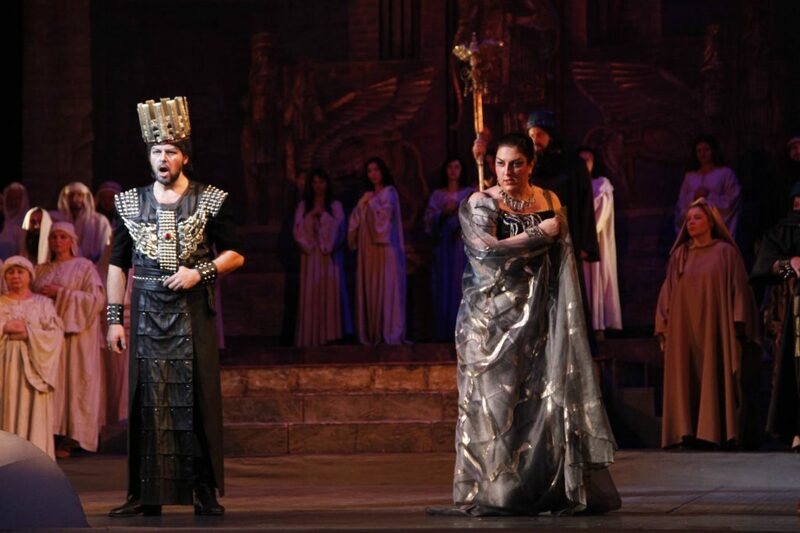 Ismaele, nephew of the Jewish king, recognize Fenena for his beloved one, who once freed him from captivity in Babylon. The young man wants to save the princess. 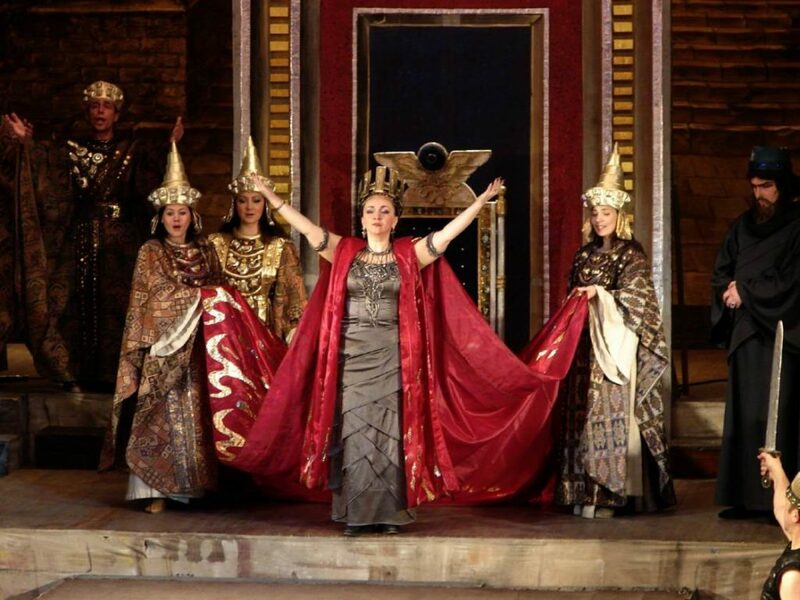 At this moment, Abigaille rushes into the temple with the Assyrians through the secret passage. 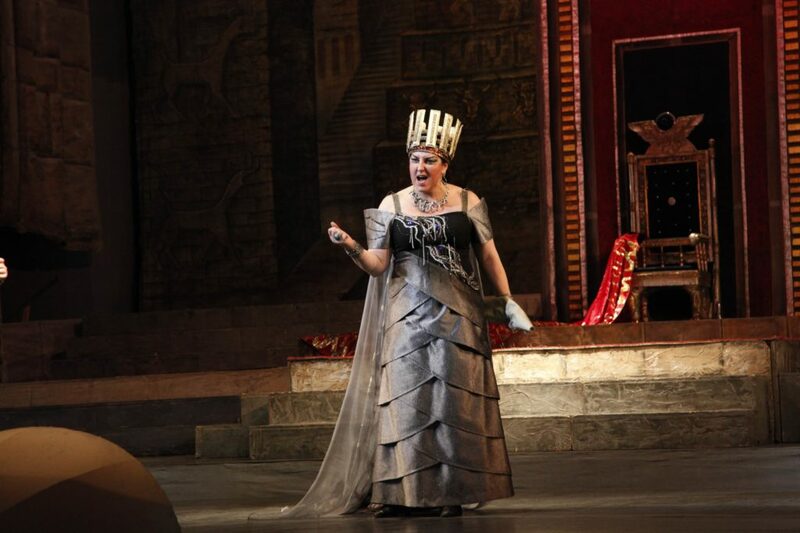 She is an illegitimate daughter of Nabucco, who aims to inherit the throne. Her heart is burning with unrequited love to Ismaele. Abigaille is ready to help the Jewish people for the sake of this love. But Ismaele can not make himself love Abigaille. The temple is filled with larger and larger numbers of people. 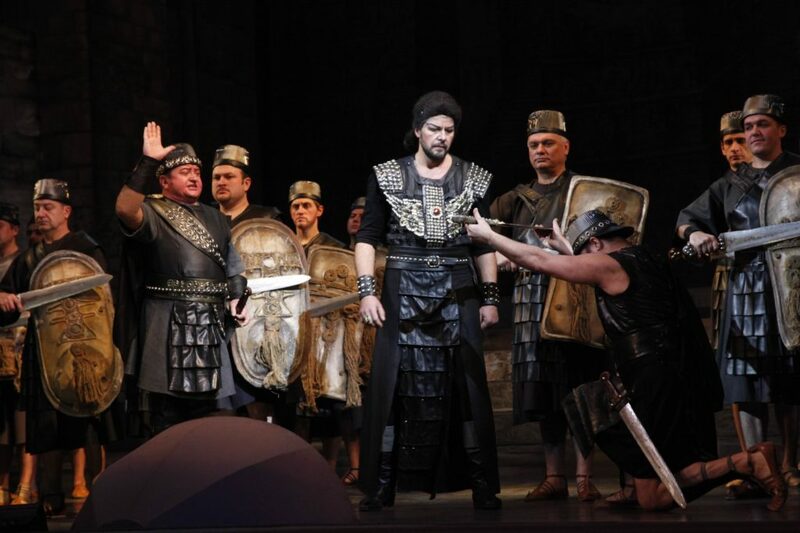 In a moment Nabucco himself enters and orders everyone to fall on their knees. 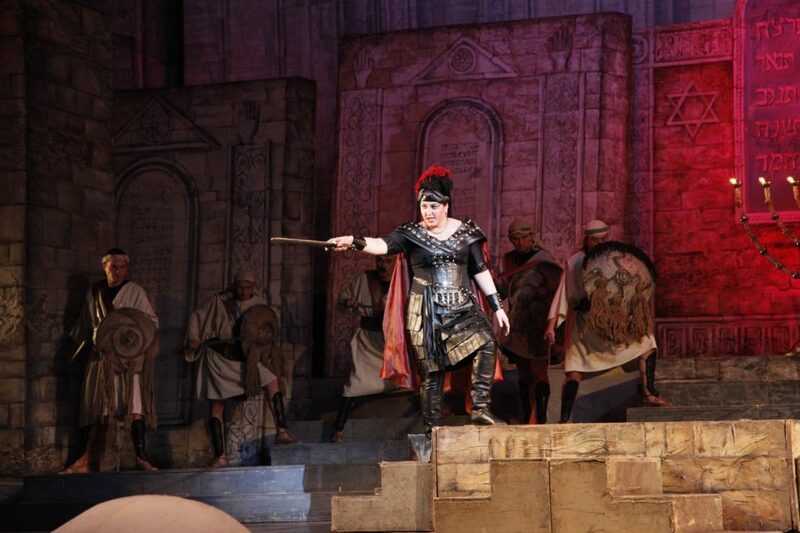 Zaccaria rushes to Fenena and threatens to kill her with a knife. 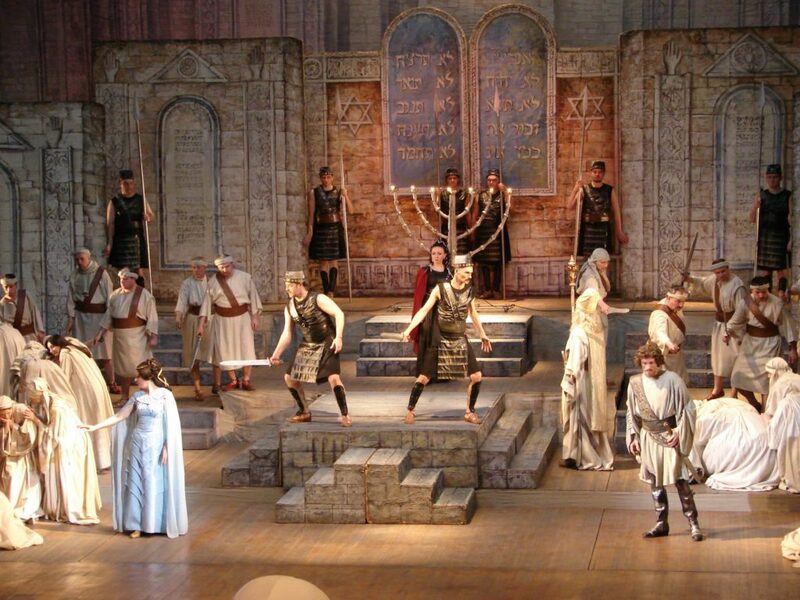 If the Assyrian king and his warriors continue desecrating the main Jewish temple, he will kill the king’s daughter. 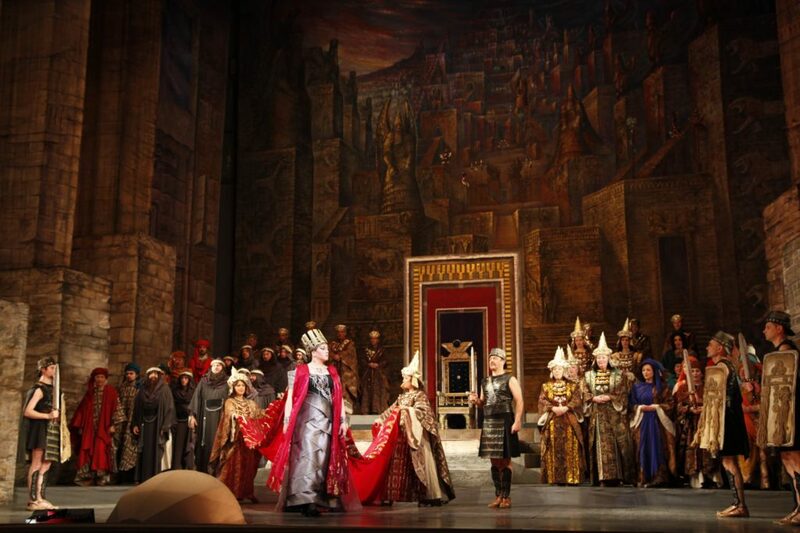 Nabucco is feverishly contemplating the situation. 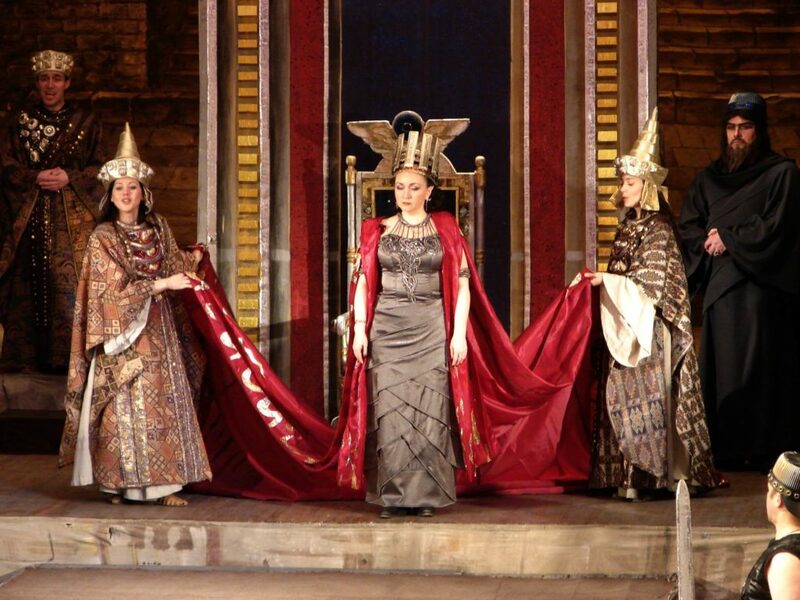 Then suddenly Ismaele rushes to Fenena and frees her from the hands of the High Priest. Fenena is saved. 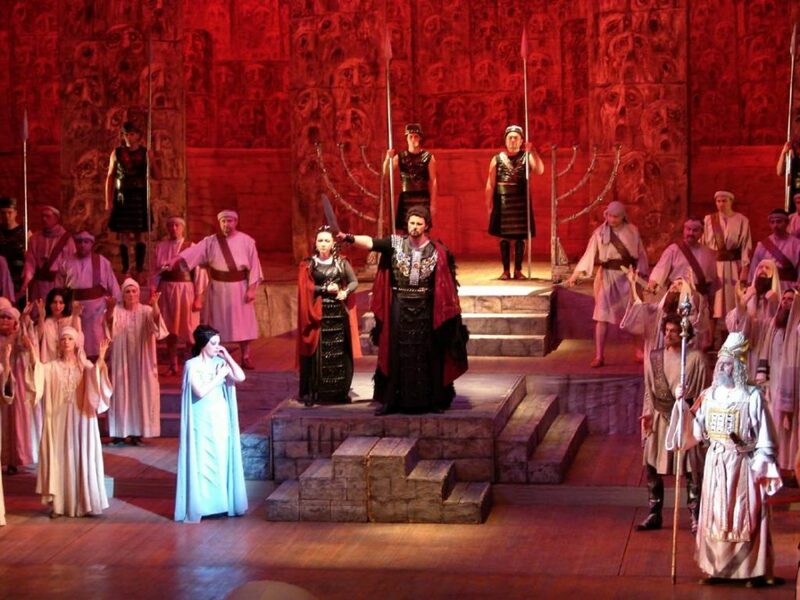 Nabucco is filled with ferocious malevolence, he orders to plunder and burn Jerusalem. Abigaille treacherously took possession of the documents that prove that she is the illegitimate daughter of the king and his slave. This means that she has no right for the throne, she desired so much. 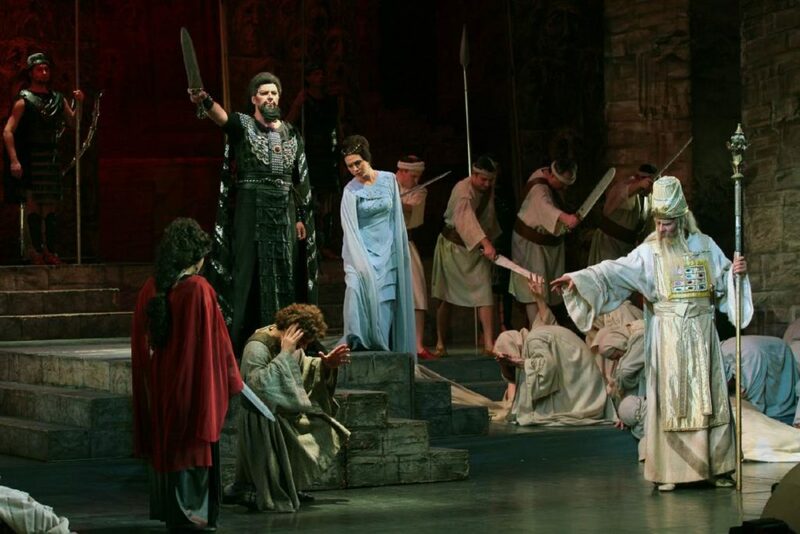 The High Priest rushes in and tells that Fenena, left in power in the absence of Nabucco is going to free the Jews and convert to their religion. 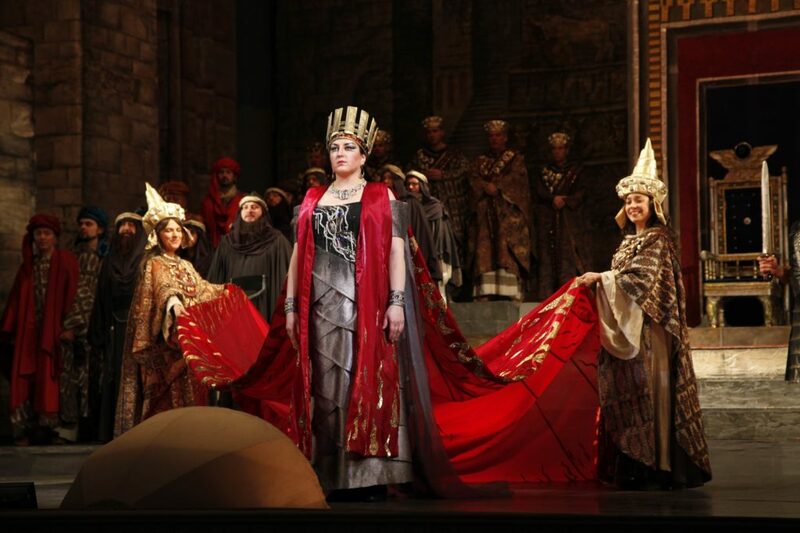 Abigaille enters into a conspiracy with the High Priest, and he encourages her to tell everyone that Nabucco died to take away the crown from Fenena and become the queen by deceit. In captivity Zaccaria turns with a prayer to God, asking to aid the Jews. 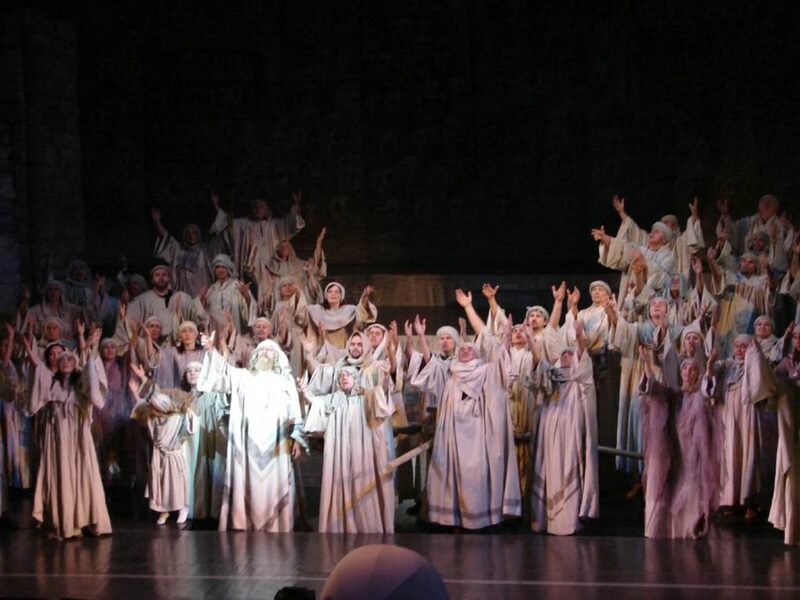 At night Ishmael comes to the Levites, begging forgiveness, is eager to tell that Fenena converted to their religion and seeks to give them freedom. But the Levites, not listening to Ismaele, curse him as a traitor. 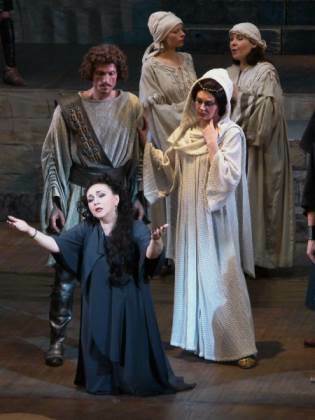 Zaccaria’s sister Anna appears. 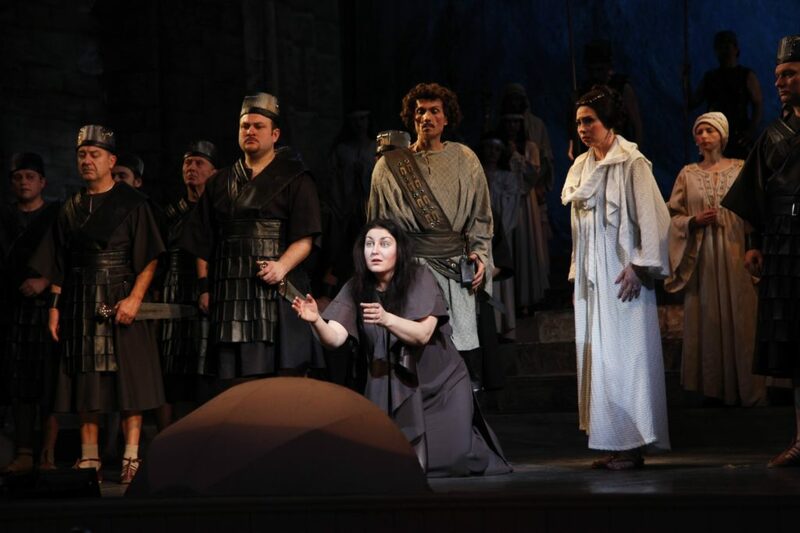 She tells the Levites that, thanks to Ismaele, Fenena will save the Jewish people. Hearing the good news, people start gathering. 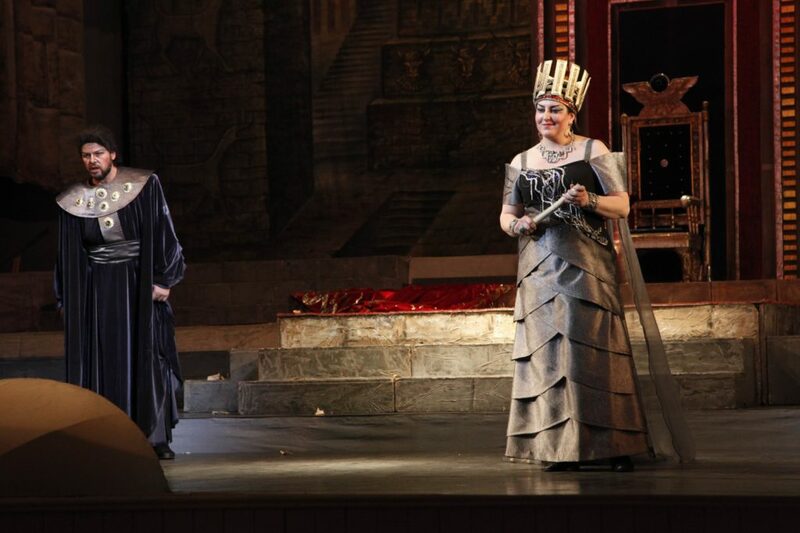 Suddenly comes Abdalloand tells Fenena that the priests, who want to take away her crown and arrest her as a traitor, are approaching. Abdallooffers Fenena escape, but she refuses. 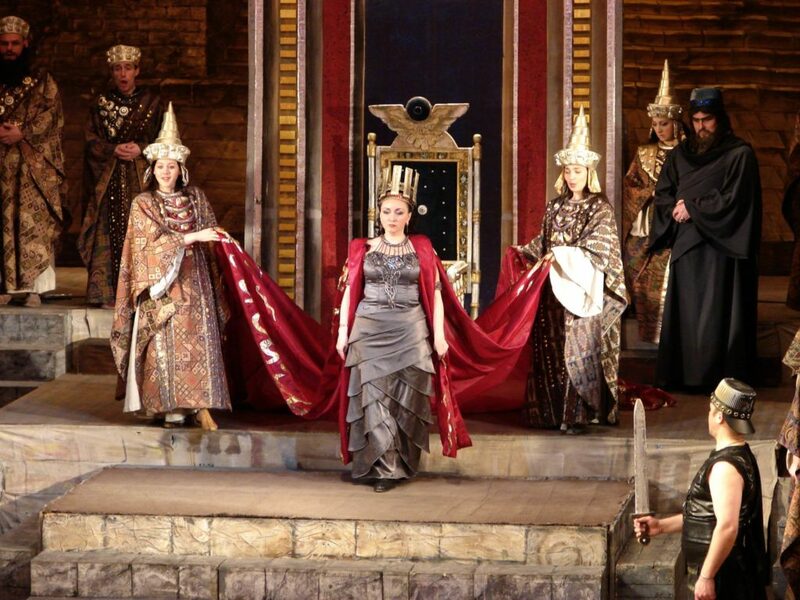 Abigaille comes and tries to take her crown away. 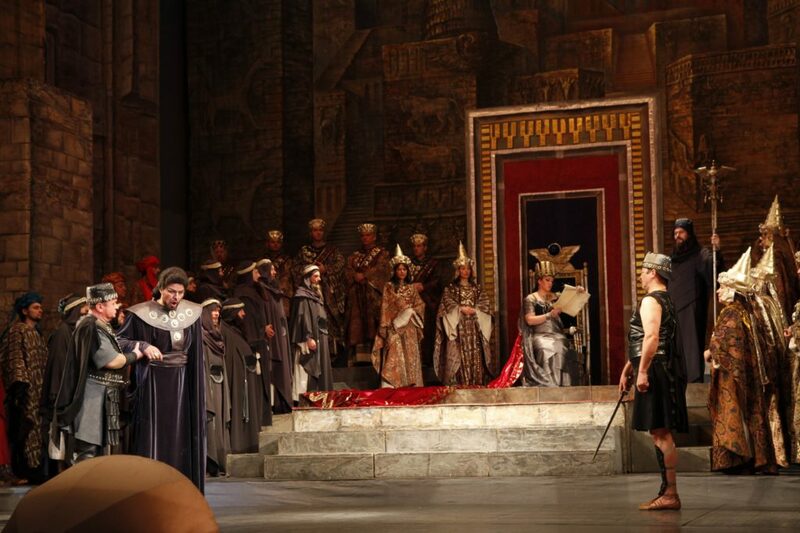 Unexpectedly for all, Nabucco appears to be alive. 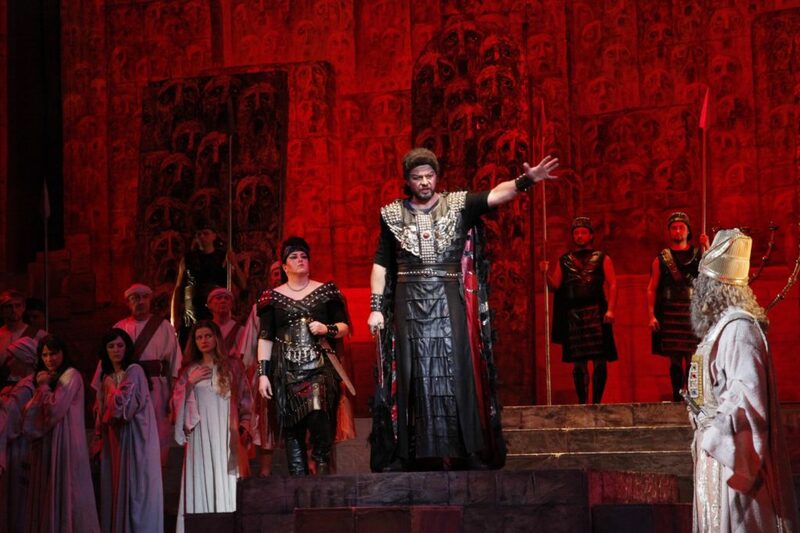 Regaining his crown, he is outraged by his subjects’ betrayal and declares himself God. 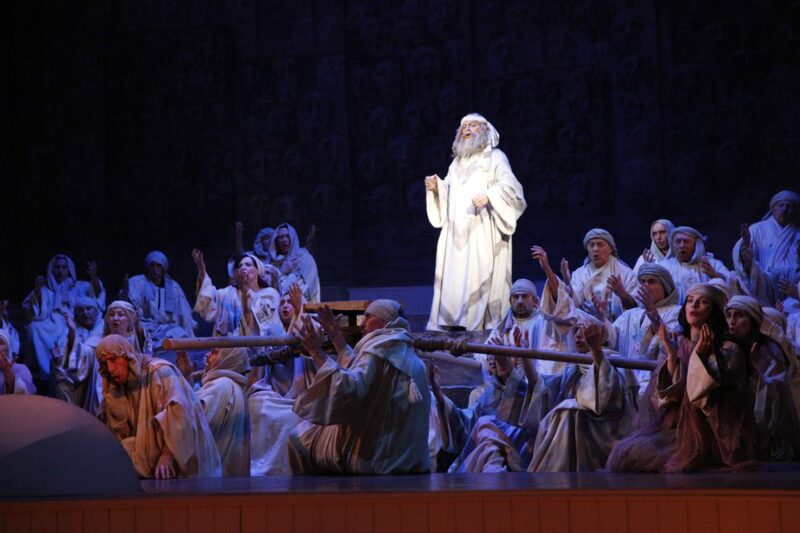 Struck by lightning, Nabucco loses his mind. Abigaille dreams of the throne again. 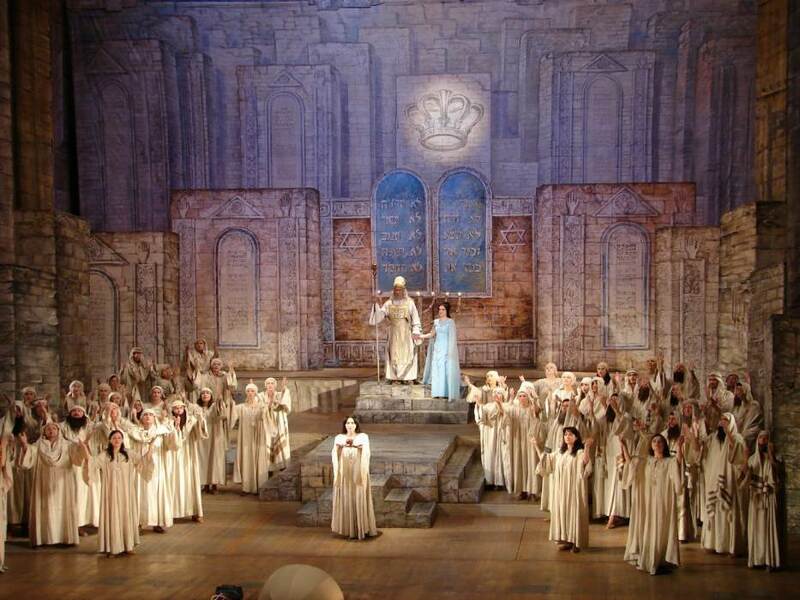 A ball is held in the royal palace in honour of Abigaille, who now behaves like a queen. The High Priest demands execution of Jews and Fenena. 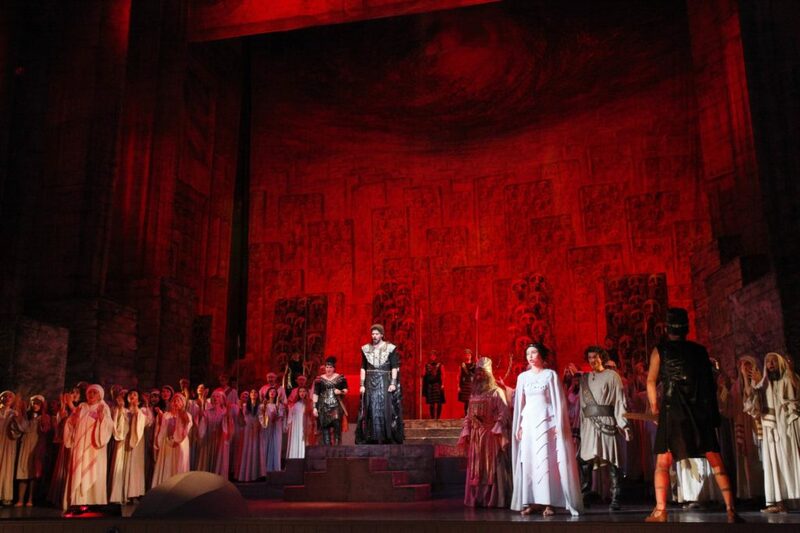 Suddenly enters Nabucco, put under house arrest by Abigaille’s order. 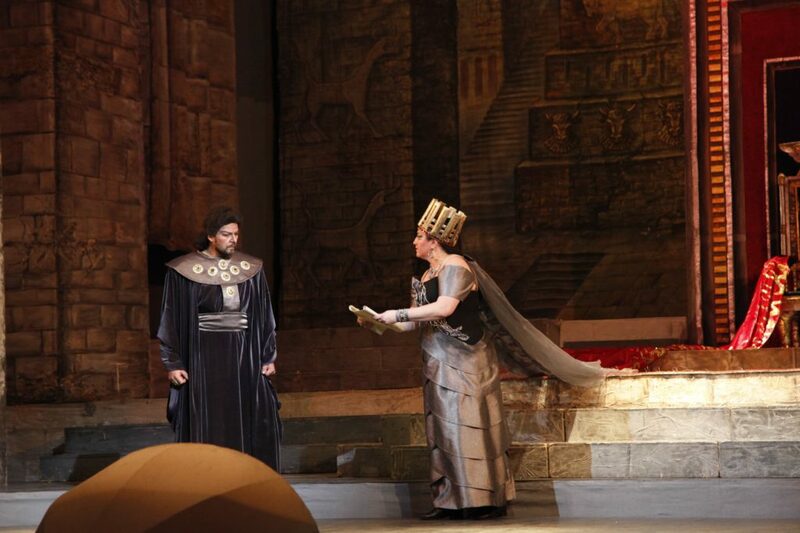 Abigaille cunningly persuades him to seal the decree of the execution of the Jews. For a moment he begins to understand what is happening. He realizes with horror that Fenena will be executed as well. 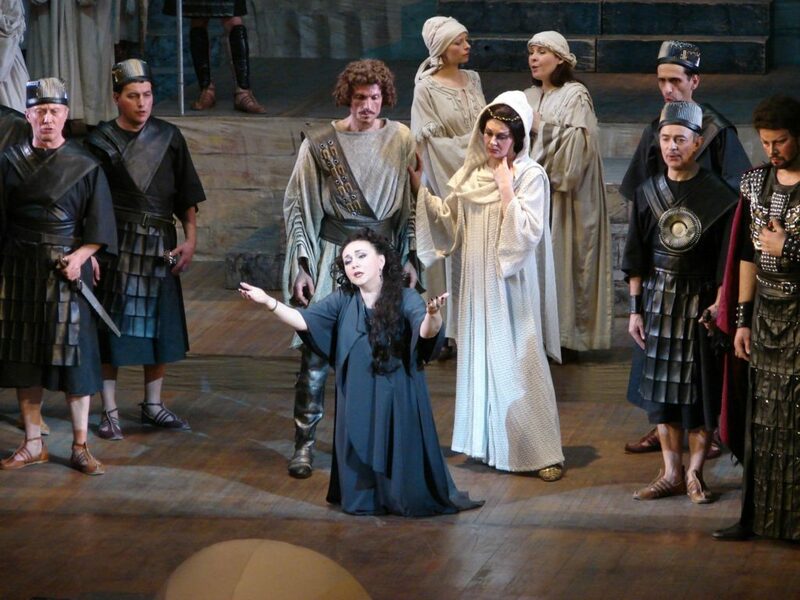 Nabucco tries to find the documents about the servile origin of Abigaille, but does not find any. 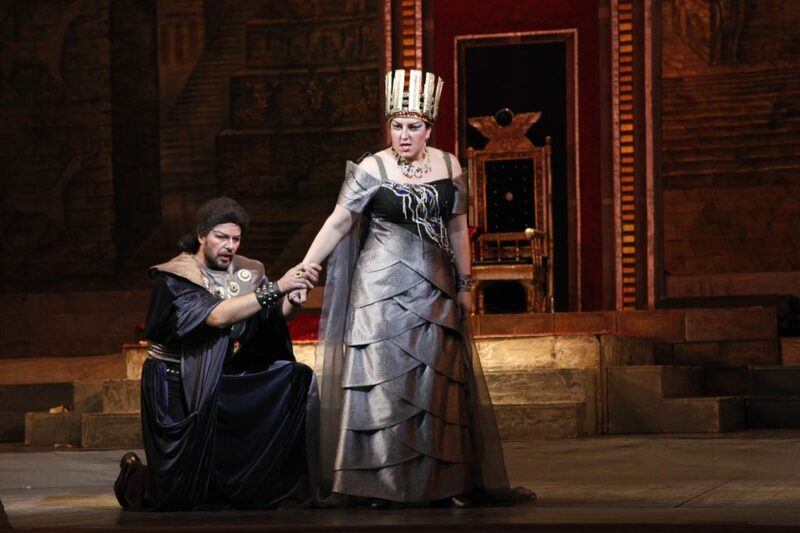 Shocked by Abigaille’s guile, Nabucco pleads for Fenena’s life, but the impostor is relentless. On the shore of the Euphrates the Jewish slaves long for their homeland, not believing in returning home. 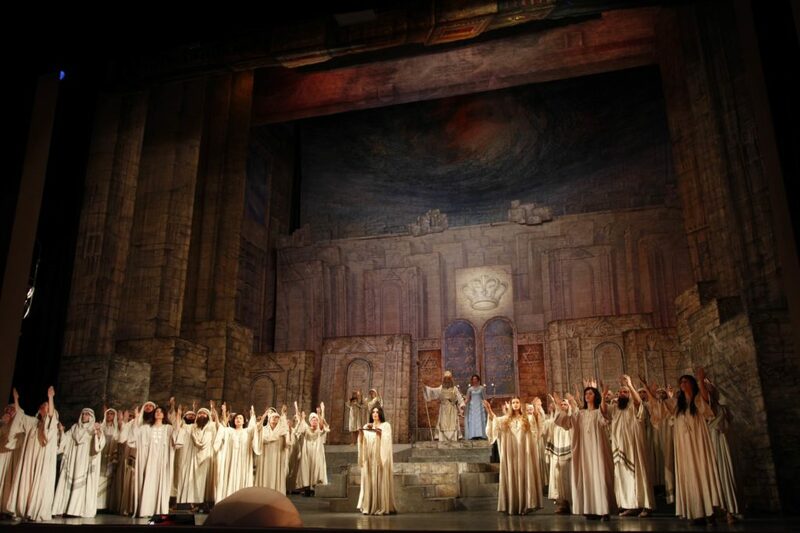 Zaccaria arrives,denouncing the collapse of Babylon, and once again exhorts them to have faith: soon God will help them free from the captivity. 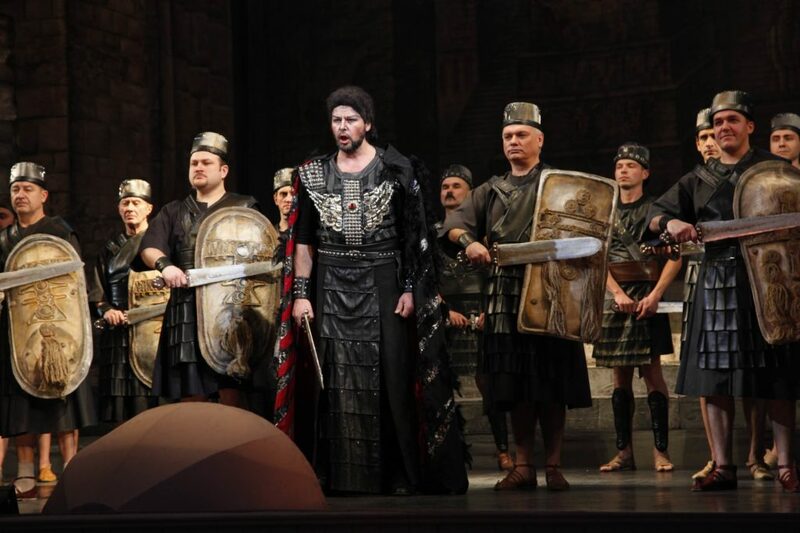 After severe emotional suffering and terrible dreams, imprisoned Nabucco awakens in the palace. 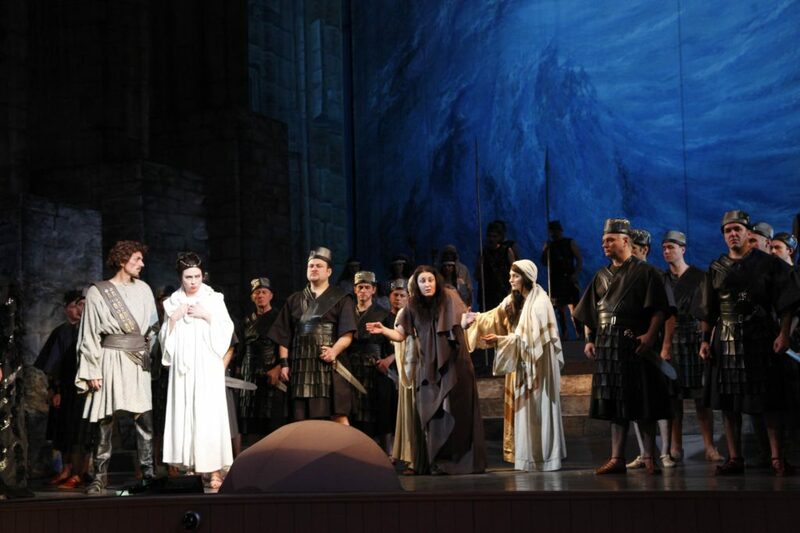 He sees a procession – Fenena is being taken to her death. Realizing that irreversible has happened, he falls to his knees, pleading the Jewish God for remission of his sins and prays for the salvation of his daughter. 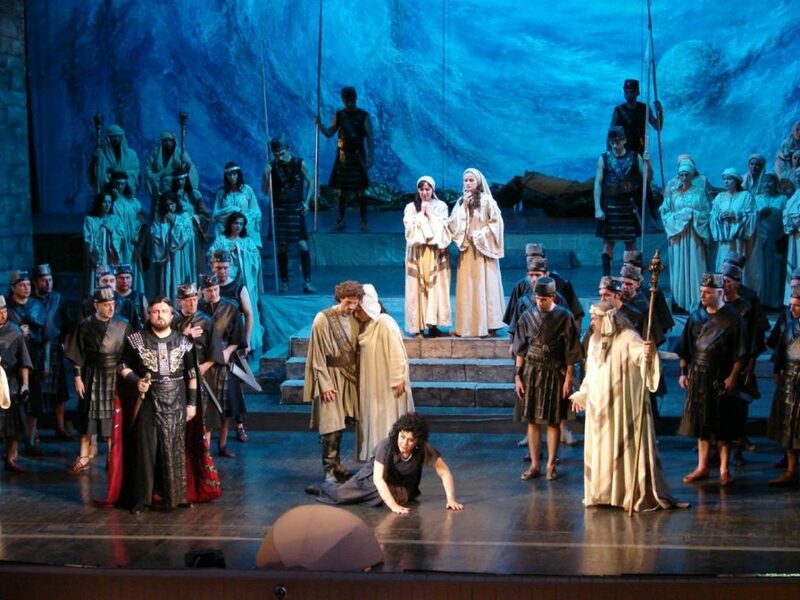 God accepts his prayer and Nabucco regains his reason. 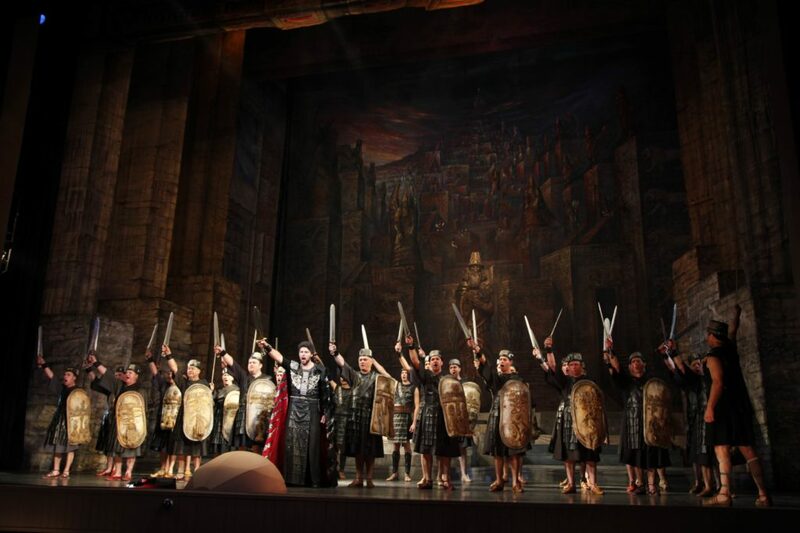 Joined by loyal soldiers, Nabucco resolves to rescue Fenena. Fenena boldly goes to her execution. 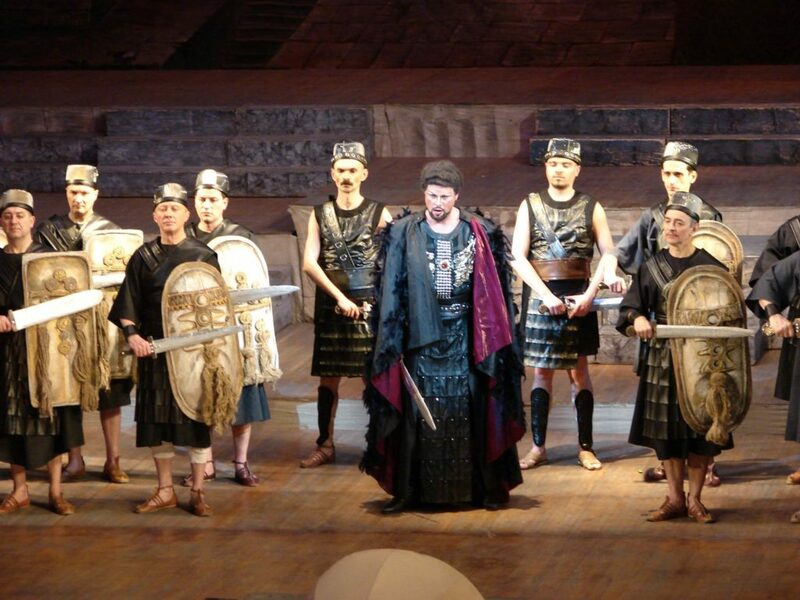 Nabucco rushes in with his soldiers. The statue of the Assyrian Idol falls down and breaks into pieces in front of the overwhelmed Babylonians. 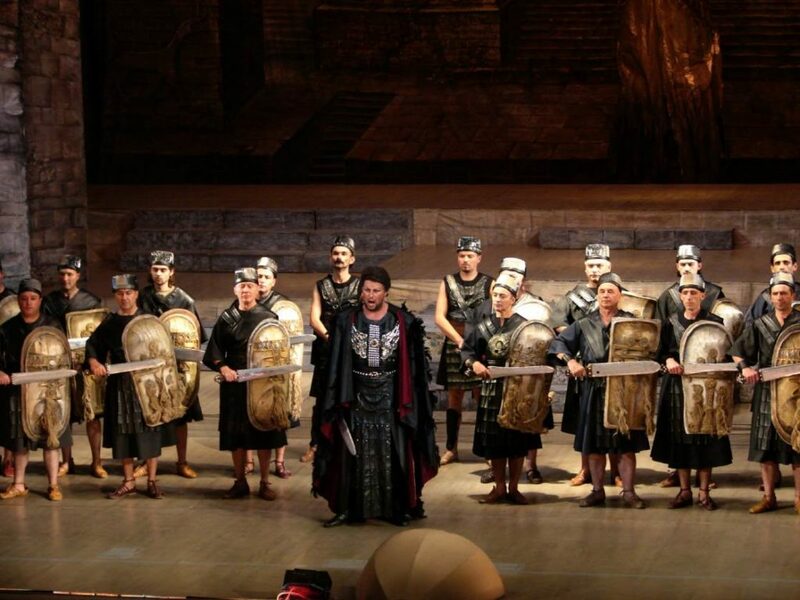 Nabucco praises Jehovah and frees the captive Jews. Abigaille, having lost her last hope for gaining power, drinks poison. She asks for the forgiveness and dies with prayer on her lips. 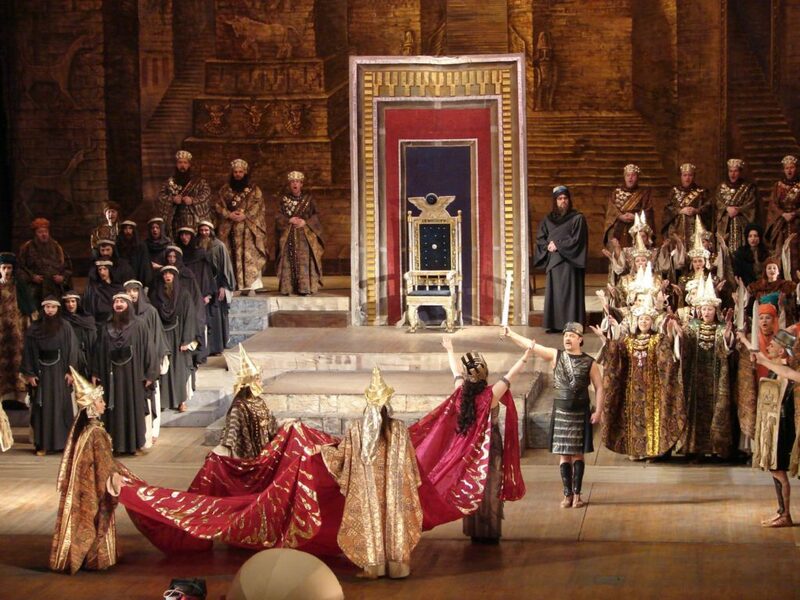 Verdi said that opera “Nabucco” had begun his music career. 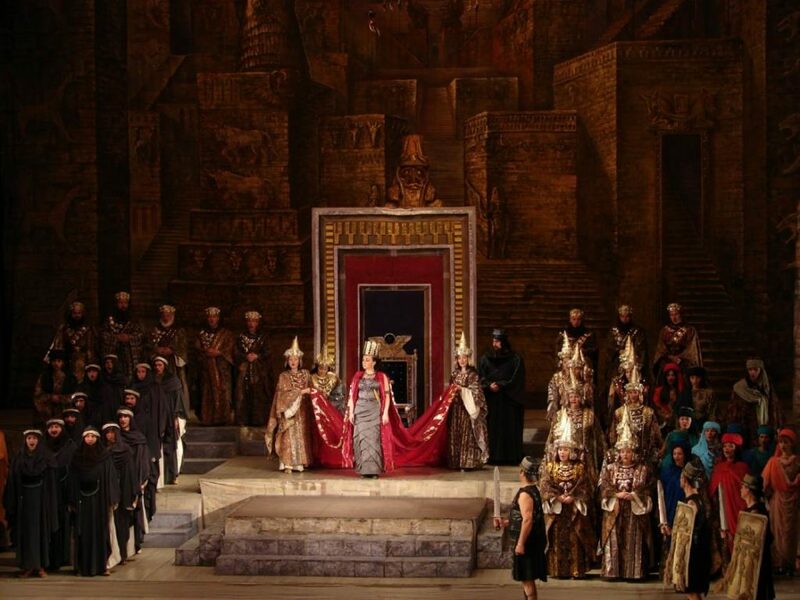 “Nabucco was the first successful Verdi’s opera that encouraged him to continue to write music although his first two operas had failed. 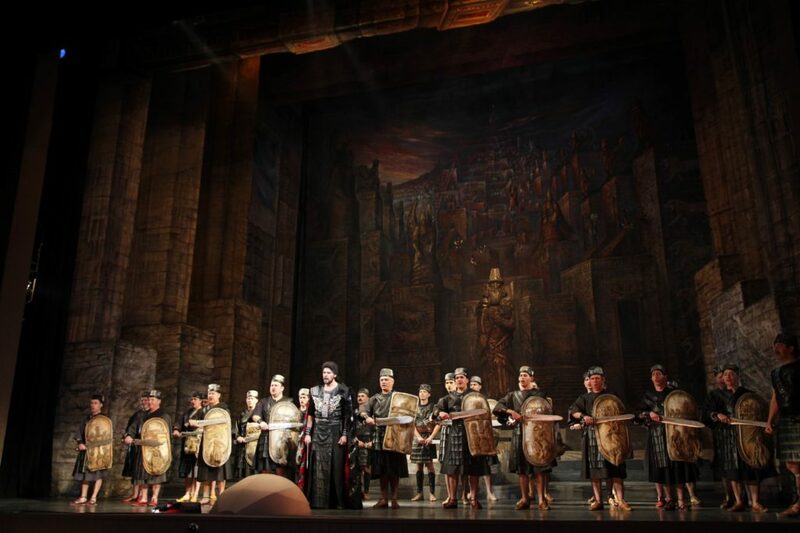 La Scala impresario turned Verdi’s attention on the Solera’s libretto of “Nebuchadnezzar”. 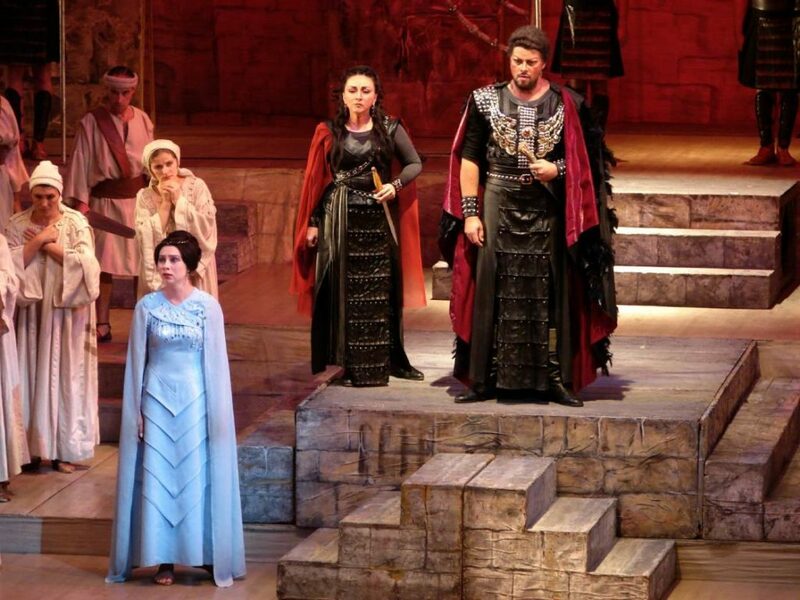 The Biblical plot about repentance for the sins, way through suffering to true faith, sorrows of miserable Jews, the deceit of Abigaille, who strived to seize power at all costs, excited Verdi and note by note he created the entire opera. 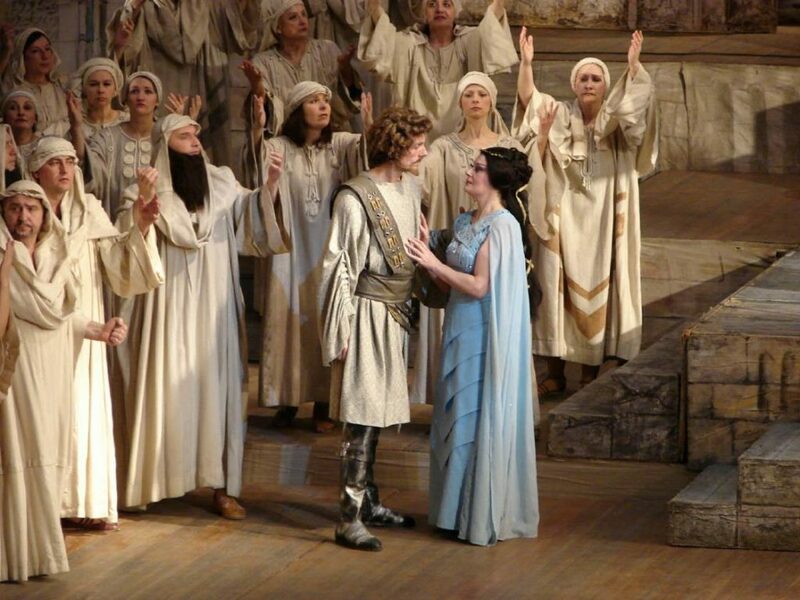 The premiere took place in La Scala on the 9th of March, 1842 and made a furore. 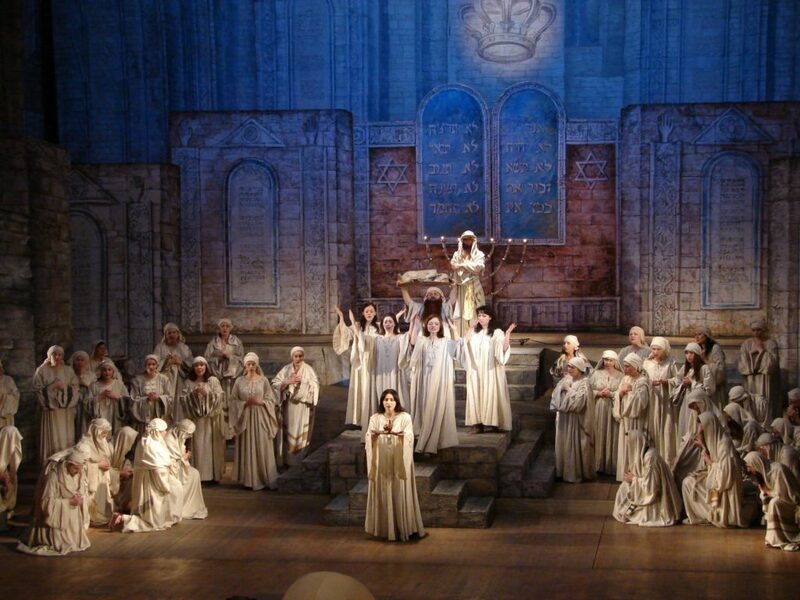 Verdi became famous in one day.